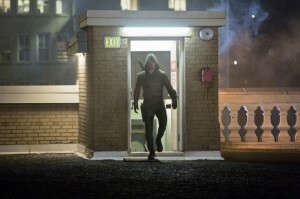 The 2013 GreenArrowTV Awards: Pick The Best Episode Of Arrow Season 1! Fans are invited to pick their favorite episode of Arrow Season 1 for the 2013 GreenArrowTV Awards. Now that the list of nominees has been announced, and the readers of GreenArrowTV had helped us narrow things down a bit, it’s time to start voting in the 2013 GreenArrowTV Awards, honoring he best and not-so-best of Arrow Season 1! Today, we’re starting off with the Best Episode. “They’re all good!” you say. But, these were the seven that were nominated the most. Have fun voting, and come back in a few days for another category! A full list of nominees can be found here, and results will be announced at the end of the voting process later this summer. What is your choice for the Best Episode of Arrow Season 1?